DJI Mavic 2 is here with a Hasselblad camera -- goodbye Phantom series? Home » News » DJI Mavic 2 is here with a Hasselblad camera — goodbye Phantom series? DJI Mavic 2 is here with a Hasselblad camera — goodbye Phantom series? After many series of leaks — and not a lot of surprises about what the DJI Mavic 2 is all about — the DJI Mavic 2 is finally, officially here. And it addresses one of the biggest challenges with drone photography — shooting aerial images in complicated lighting conditions, including sunrise and sunset. So what’s the biggest new feature of DJI’s latest consumer drone? A Hasselblad camera. DJI today launched the Mavic 2 Pro and the Mavic 2 Zoom — and it looks to be a photographer’s dream. The Mavic 2 Pro has a three-axis gimbal with a Hasselblad camera and 1-inch CMOS sensor and F\2.8 EQV 28mm lens, capable of capturing 4K video and 12MP images. It also includes the DJI OcuSync transmission system with a transmission of 1080p and a maximum range of up to five miles. The big difference between both editions is their respective gimbal cameras. The Mavic 2 Zoom utilizes a two-time optical zoom camera with a 12 MP 1/2.3” CMOS Sensor. With the Mavic 2 Zoom, you’ll also get more flight modes including “the Dolly Zoom,” which is a mode where the drone lens zooms in while the drone flies back — keeping the subject the same size while the viewer sees a wider landscape. Both Mavic 2 versions are also capable of a new hyperlapse mode. Both versions of the drone follow the unique foldable design of the Mavic Series, first announced by way of the DJI Mavic Pro in September 2016, making them super portable. Both can also reach top speeds of 45 mph with a maximum battery life of 31 minutes. DJI acquired a stake in Hasselblad at the end of 2015. The Swedish company manufactures high-end, highly specialized cameras, including the camera that documented the first landing on the moon. The two companies announced their first joint product in July 2016 — a combination of the M600 drone platform with the A5D medium format camera. A year later, DJI created the first 100-megapixel integrated drone imaging platform using Hasselblad technology. The Mavic 2 has 10 sensors, creating an unprecedented level of data among DJI’s products. DJI calls it “Omnidirectional Obstacle Sensing”, which includes left/right, up/down, and forward/backward obstacle sensing. DJI is also touting that as a safety feature, as stereo-vision obstacle sensing helps avoid side crashes, and a time of flight sensor on the top will help it from hitting something above. 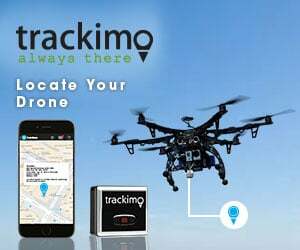 The drones also improve upon one of the biggest cumbersome aspects of drones — uploading your drone footage to social media, where you want it. New software allows you to instantly share the cached video on social media in Full HD. The DJI Mavic 2 Pro will launch at $1,450. The Mavic 2 Zoom will go for $1,250. The Mavic 2 is available today and will begin shipping today. Order yours now, right here. Seems a bit poor if only 12 mpx with a 1 inch sensor? I think that might be incorrect? 12MP is the typical 1/2.3″ sensor, 1″ is 20mp…of course sony didn’t; design a new sensor just for this drone. “The Mavic 2 Pro utilizes a newly redesigned 1-inch CMOS sensor and 10-bit Dlog-M color profile, which allows the Mavic 2 Pro to capture four times the level of color as its predecessor, the Mavic Pro. The drone can shoot 20-megapixel images, has an ISO sensitivity of 100-6400, an aperture range of F2.8 to F11 and shoots 4K video with 10-bit HDR.